The past twenty years Lean has gone from strength to strength. Lean thinking started in automotive, spread across manufacturing, into construction, financial services and health care. Each of these industries have exemplar organizations that are redefining what's possible in terms of Safety, Quality, Delivery and Cost. I believe we're about to "cross the chasm". The organizations described above have largely been run by men and women for whom Lean thinking is entirely natural. "Of course," they say, "this is just common sense and good business!" They are the innovators and visionaries, the so-called early adopters, who usually lead any profound change -- and they comprise 10 to 15% of organizations. To cross the chasm and enter the "majority" we'll have to adjust our approach. Later adopters tend to be very pragmatic. They favour references, structure, standards (and even certificates). "Show me -- prove it works" is their attitude. We connect newer clients with existing clients, often visionaries who've achieved and sustained breakthrough. The trick is to sustain the soul of Lean -- that profound merging of East & West -- as we cross the chasm. 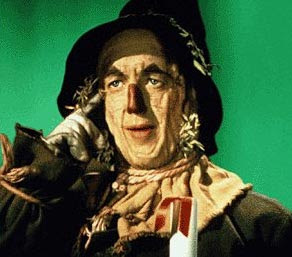 The Wizard of Oz gave the Scarecrow a diploma. We can give people a Lean certificate, but can we give them a brain? Of course no -- but we can and must help them learn to think, which is what Lean is all about.